More than a great sports video! It’s basketball with a little extra spirit! There’s a toughness and edge to this “BasketBrawl” that can’t be found on any other court! 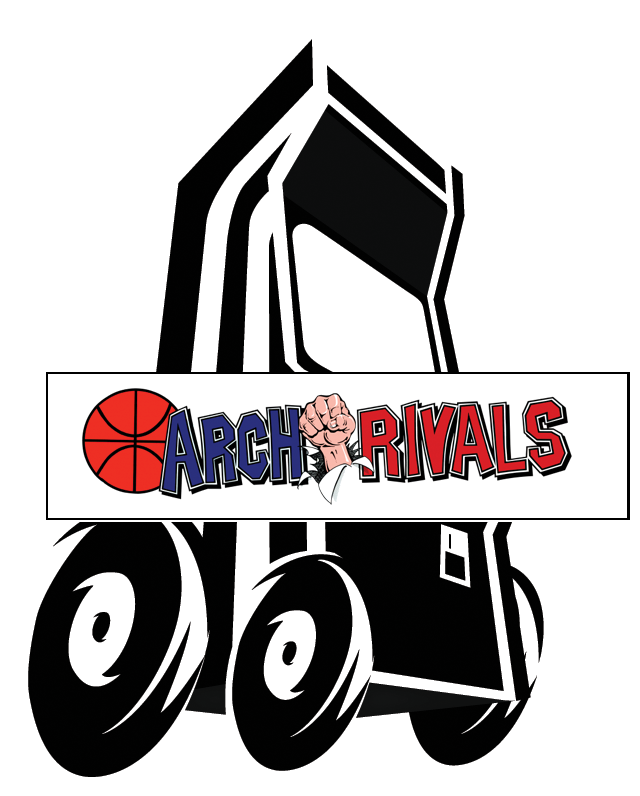 Step beyond fancy shots and slick moves – Arch Rivals keeps players off-balance, on-guard and entertained! Players take control of the actions of one team member with our unique 49-way joystick and communicate with the rest! These champs work together and respond to signals and commands. One or two person simultaneous play makes players feel like they’re on the court instead of behind the screen! Customize your game – Pit YOUR local high school college or pro teams against one another – You choose the teams, the players and even select uniform colors! Set once or change as often as you like with easy-to-use menu.